Grande at the Billboard 2018 Women in Music event in December. 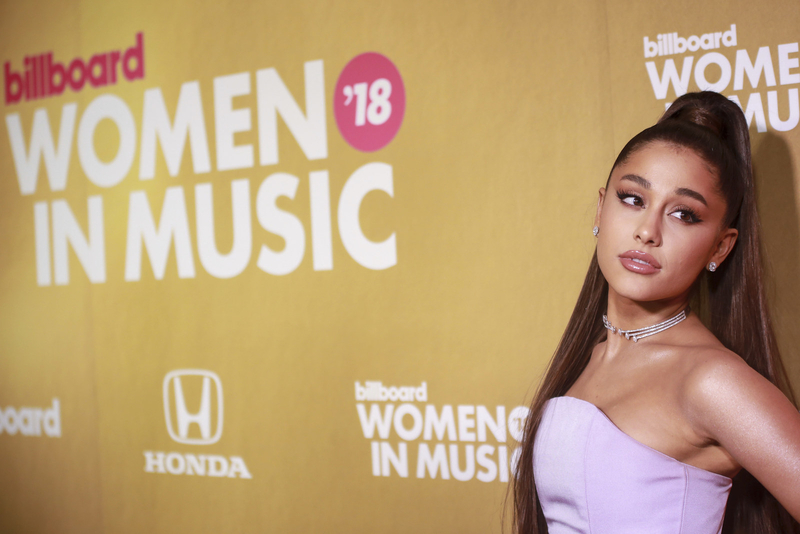 Ariana Grande won her first-ever Grammy award on Sunday, taking home one of music’s most prestigious awards despite not showing up for the ceremony amid a feud with the show’s producers. Grande won the Best Pop Vocal Album trophy for her album Sweetener, beating the other nominees in her category: Camila Cabello, Kelly Clarkson, Shawn Mendes, Pink, and Taylor Swift. The award was handed out at the Sunday afternoon ceremony ahead of the night’s main show. Grande was sitting out both events amid a very public fight with Grammys producers about what songs she would sing on the Grammys stage. On Thursday, Grande accused Ken Ehrlich, producer of the Grammys, of lying about the reason why she was skipping the show. The drama was said to have started when producers declined to allow Grande to perform her latest single in full. Producers reportedly told Grande that she could only perform “7 Rings” as part of a medley and wanted to have the final say on the second song. According to a source who spoke to Variety, Grande felt “insulted” and decided to to skip the Grammys entirely. The awkward public spat played out as Grande’s image was still used on billboards and ads for the Grammys. “Passed a Grammy’s bus with my face on it typing those,” she wrote on Twitter on Thursday. Grande was also nominated for Best Pop Vocal Performance for “God Is A Woman,” but lost out in that category to Lady Gaga’s “Joanne (Where Do You Think You’re Goin’?)”. Next story Can You Match These Secondary Nickelodeon Characters With The Show They Belong To?